While the iconic Boca Raton Bridge Hotel is closed with construction fully underway on its total reinvention into a four-star luxury boutique hotel, advance reservations for guest rooms and banquets – including holiday parties and weddings – are brisk. Eager vacationers, business travelers, local residents and area companies have been planning ahead to ensure their opportunity to be among the first to indulge at the new jewel on the Boca Raton waterfront. Kaylor reports that the hotel has been booking everything from individual guest room reservations and romance and vacation packages to 8-person board meetings and large business and social events, including holiday parties, weddings and fundraisers for up to 150 guests. Its 3,450 square feet of meeting and function space includes rooftop event space with unparalleled views of the Atlantic and the Intracoastal as well as newly renovated, state-of-the-art meeting rooms with flexible seating options. Each meeting space will be equipped with the latest audiovisual technology and attentive staff. 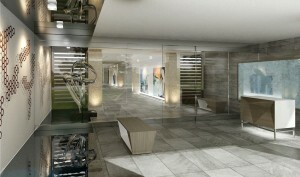 Its new event venue will also be available for private dinner parties and functions. 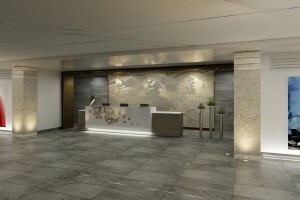 Being reinvented to be more relevant and exciting to meet the desires and needs of today’s discerning vacationers as well as social and business guests, the transformation plans will reposition the hotel into a premier South Florida experience with its own distinctive signature for the destination. The complete transformation to a luxury four-star hotel status will include the introduction of entirely new “sense of arrival” and relocation of hotel’s entrance, complete with a modern, contemporary, gallery-styled lobby. The aesthetic and structural plans also include an extensive property architectural reorientation featuring a new innovative interior design renovation concept for the registration area and guest rooms, and the addition of an indoor waterfront restaurant as well as expanded outdoor waterfront dining with a dock-to-dine “waterfront promenade” that flanks the property’s entire perimeter, and public spaces conceived by the commissioned Gensler design and architectural firm. The Boca Raton Bridge Hotel, one of Palm Beach County’s boutique icon hotels with panoramic water views from every guest room, is located where the Intracoastal Waterway and Lake Boca Raton meet at 999 East Camino Real in Boca Raton. 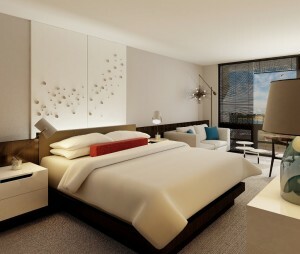 Hotel reservations are available at www.bocaratonbridgehotel.com or by calling 866-909-2622. For advanced booking of post- “re-opening” small meetings and executive retreats, private dining functions, and holiday parties beginning December 1st, call Fran Bannon at (561) 368-9500 or email her at f.bannon@bocaratonbridgehotel.com.